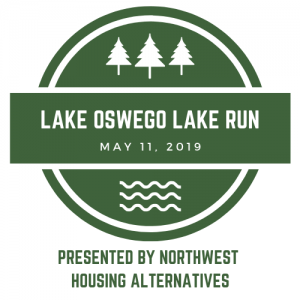 The Lake Oswego Lake Run is about to embark on year 43. That’s a lot of trips around that lake! 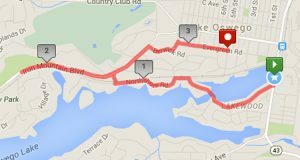 This well-known hilly race includes a 10K, 5K, and a Kids’ Dash. It also includes the annual Family Fun Festival at the finish area – Millennium Plaza. Proceeds from this year’s event will go to Northwest Housing Alternatives. Founded in 1982, Northwest Housing Alternatives (NHA) is the leading not-for-profit developer of affordable housing in Oregon. Our mission is to create opportunity through housing. To that end, NHA develops, builds, and manages rental housing designed for Oregonians with extremely limited incomes; most NHA households earn less than $16,000 per year. These homes help families live healthy and stable lives, allow older adults to age in place, and give people with special needs a dignified residence. Along with providing affordable housing, NHA provides services that connect tenants to critical health and community resources, work to prevent homelessness before it begins, and offer emergency shelter and services for families experiencing homelessness. NHA is also a leader in affordable housing Preservation projects across Oregon. After being the first organization to use the Oregon Housing Acquisition Fund to purchase seven properties comprising 247 units of Section 8 Housing, NHA has gone on to pursue five additional Preservation projects. NHA is always working to enhance our portfolio’s sustainability and works closely with local partners to drive innovations in our field. 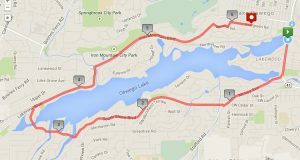 Both the 5K and 10K routes includes great views, but the 10K loop goes almost completely around the entire lake. It a challenging route, but the finish is all downhill! I’ve run this race multiple times and it is truly a love-hate relationship. I love the challenge, but I do have some of those “What was I thinking?” moments. One of the things I really appreciate about the Lake Run is the community feel. The course goes through neighborhoods where you’re guaranteed to see people out in front of their houses cheering. I’ve even seen impromptu “lemonade stands” set up by kids along the way. 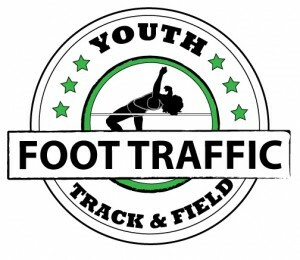 It’s a fun event for both the participants and the community. The other thing that adds to the community feel of this run is the Family Fun Festival in Millennium Park. After finishing, you can meander the vendor booths for snacks, fun gift items, and even enter some drawings. There will be a DJ, beer garden, plant sale, food carts, and even crafts for the kids. It’s a great festive, small community feel at the finish line. 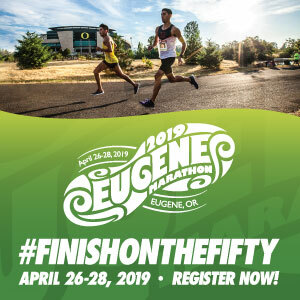 After having to miss this race for the last few years, I am looking forward to participating again this year. The hills are calling my name. I can already feel my lungs protesting a little! 😉 I can’t wait!